Also Known As: “Don’t bend the left elbow”. This swing thought reminds you to keep your left arm stiff during your swing, including at the top of the backswing. This is in contrast to letting your left elbow bend, which some golfers tend to do as they proceed to the later stages of the backswing. Keeping the left arm straight promotes a full swing amplitude. Indeed, by pushing the hands furthest away from the body, you are forcing your hands to travel the most distance during your swing. 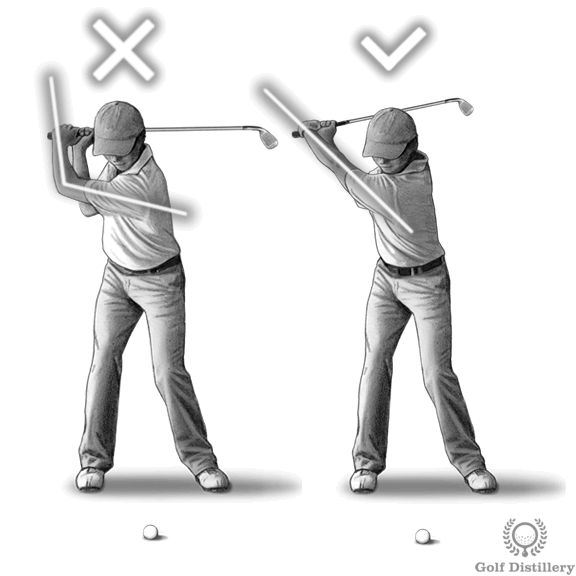 Furthermore, not allowing your left arm to bend also promotes shot consistency and reliability. It is very difficult to gauge the degree at which your elbows are bending and to adjust accordingly. At least it is much trickier than to simply keep that angle at 0 degrees. 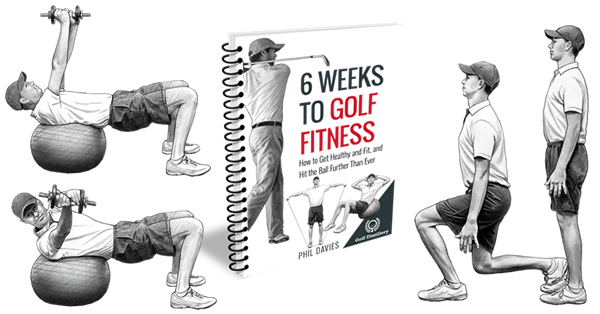 Golfers who have a tendency to over rotate at the top of the swing may benefit from incorporating this feature into their game. 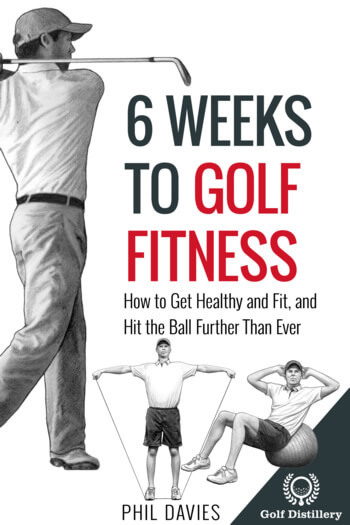 Indeed, some golfers will resort to bending the elbow when they reach a point where they can’t turn any further. Oftentimes, this results in over-extension, and ultimately in shot inconsistency. Telling your mind to stop the rotation of your hips and shoulders when the left arm is fully coiled is a great way to keep your swing relatively compact and reliable. Because your left elbow is not allowed to vary its flex, it is much easier for your mind to keep track of what it is doing and to know how it is positioned at every step of the swing. 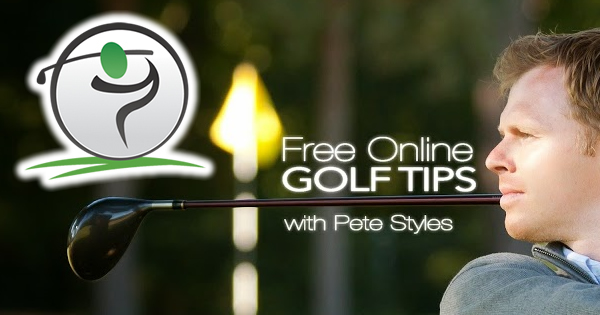 It is therefore much easier to return the club towards the ball and to position it in the best position for a strike at the sweet spot, resulting in greater shot consistency and accuracy. This golf tip can be incorporated into most swings. Indeed, there are no shots that really benefit from your left elbow bending at the top of the swing. Golfers of a certain age whose flexibility is no longer what it used to be often resort to bending the left elbow a little bit. This helps them coil further in order to compensate for what would otherwise be a too narrow swing and it helps them gain yardages. In such instances, allowing the elbow to ‘give’ a little is fine.